Correct positioning of the WaspBane wasp trap is key for the trap to be effective. 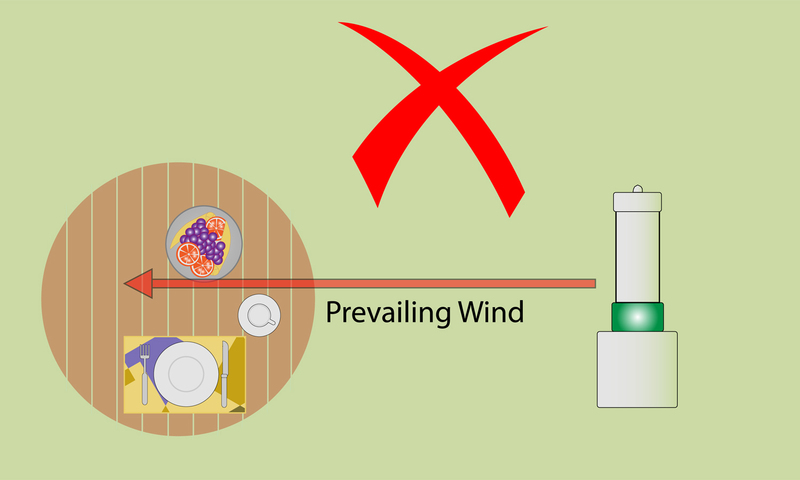 The most important thing to consider is the prevailing wind direction. Wasps will fly along scent trails and it is important that the WaspBane wasp trap is used to intercept wasps as they fly up scent trails before they reach the area you want to protect. 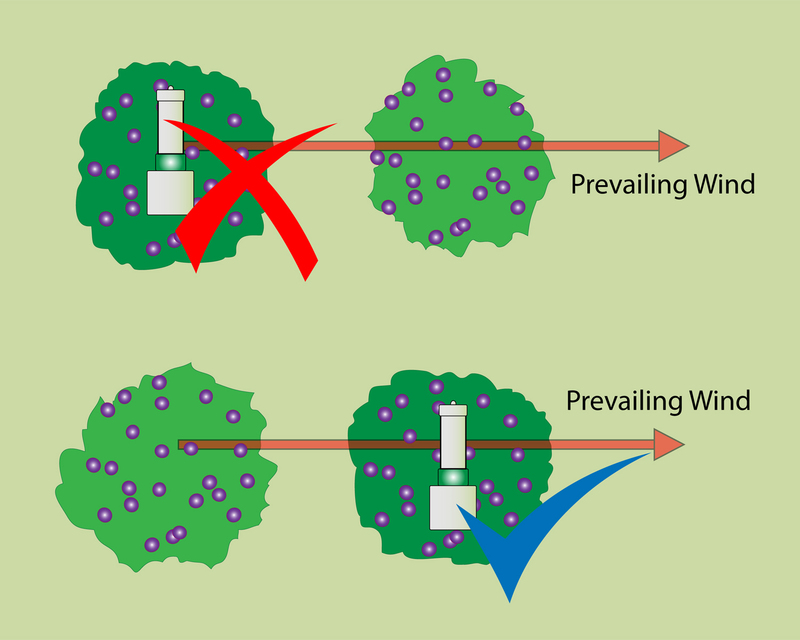 In other words, the WaspBane wasp trap must be placed downwind of the area you want to protect which means that the prevailing wind must travel from the area to be protected directly towards the trap. If the area to be protected is a patio table and wasps have learned to come to the table then the WaspBane wasp trap can be placed on the table when the table is not in use to catch out those wasps. When the table is needed, then the WaspBane wasp trap can be moved to a downwind location and vice versa. When it comes to fruit trees then the best place to put the WaspBane wasp trap is directly in the trees just before the fruit ripens. Where there is more than one fruit tree, then the WaspBane wasp trap can be moved between trees as they ripen in turn. If more than one tree ripens at the same time then it may mean having to use more than one trap especially if there is a lot of fruit. If the trees are close together then it may be that one WaspBane trap will still be enough if it is placed on the downwind tree. 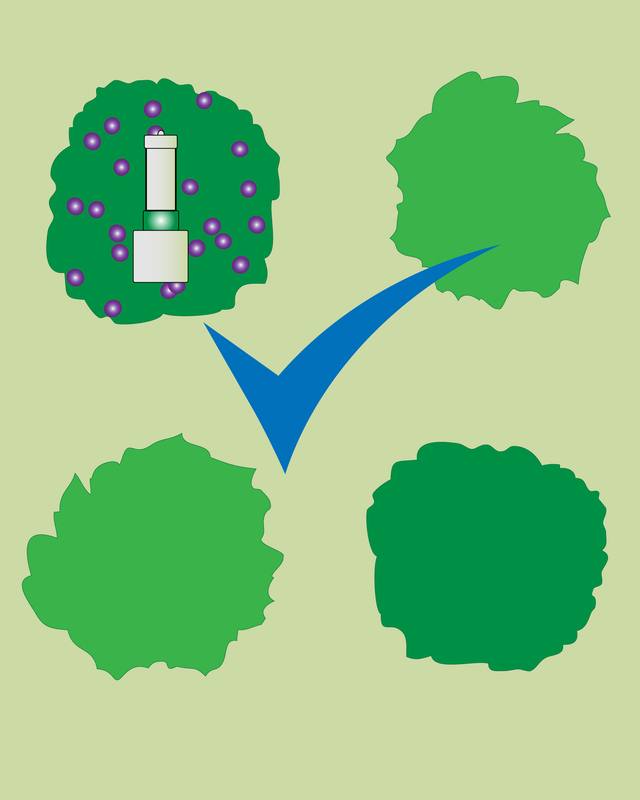 If the area to be protected is somewhere where the wind swirls, for example in a courtyard or high walled garden or a garden in a deep valley or surrounded by tall buildings, then thought should be given to placing the WaspBane wasp traps in a perimeter around the area to be protected. 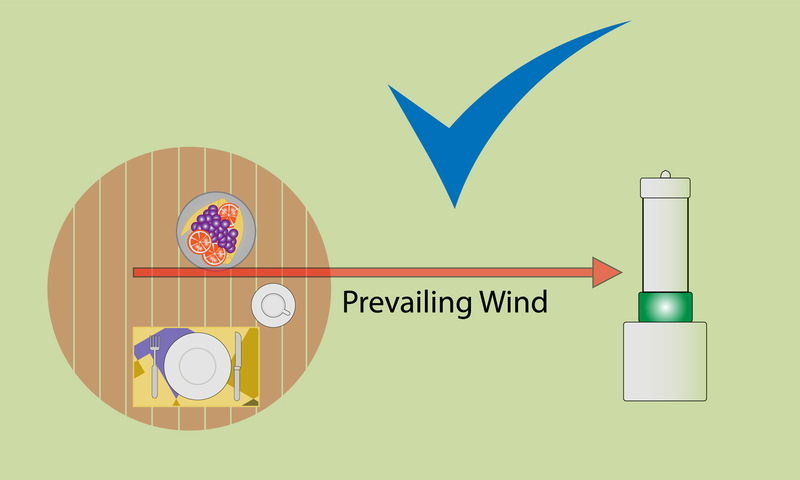 The need for perimeter deployment is quite rare and generally speaking one or two traps will protect an average outdoor dining area or patio table. The exception to this is where there are overwhelming food sources such as lime trees, ivy, fruit or rubbish bins. In which case either more traps are required or alternative measures will need to be taken such as removing the overwhelming food sources (which sadly may mean removing lime trees and ivy). The WaspBane wasp trap is designed so that it can be safely and easily dismantled and moved. This is not only useful for moving the WaspBane wasp trap between fruit trees for example, but this feature really comes into its own for those who enjoy touring holidays. The WaspBane wasp trap is ideal for protecting camping and caravan sites and can be easily, safely and cleanly taken down (see dismantling instructions), sealed and transported to a new site with no mess, no fuss and no exposure to wasps. The WaspBane wasp trap can be suspended or placed on its heavy base. The location should be away from children, in sunlight and exposed to the wind. The dappled shade of broad leaved trees is fine but the deep shade of firs and pines is not. Ideally the location should be quiet and undisturbed at least for significant parts of the day. As a point of note, if the WaspBane wasp trap is suspended in a tree then it is a good idea to make a note of its exact position because once suspended in a tree the WaspBane wasp trap becomes almost invisible. The WaspBane wasp trap might on the odd occasion need re-positioning throughout the year to reflect changes in its setting. For example, the prevailing wind will probably change from mid summer to late autumn. 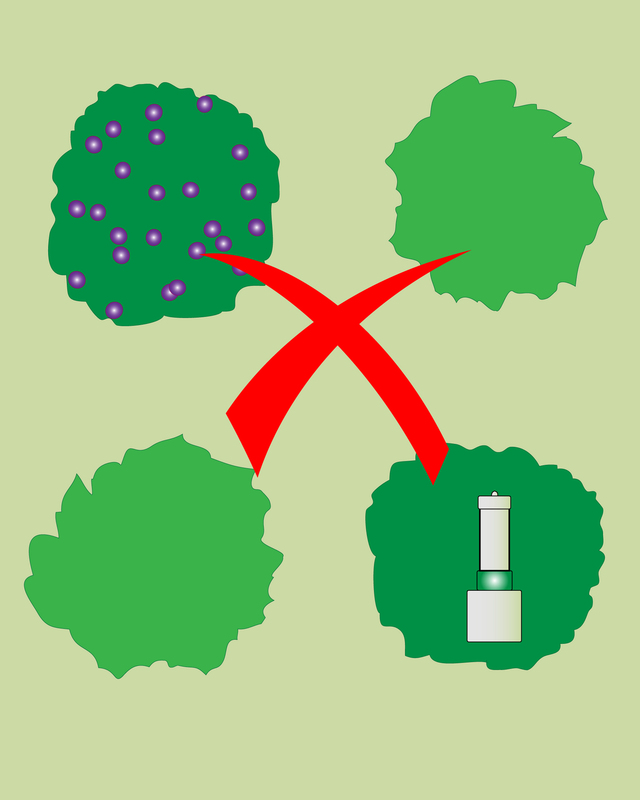 It may be that different plants start flowering or fruiting in the garden which then has an impact on where wasps go in relation to the position of the WaspBane wasp trap or it may be that the garden is used in a different way as the weather changes. The instructions provided with the consumer version of the WaspBane wasp trap are sufficient to deal with the majority of domestic situations. Positioning the WaspBane wasp trap in commercial environments requires an understanding of integrated wasp management. For details on integrated wasp management please see the relevant business section. Finally, the WaspBane wasp trap only works when wasps have stopped their beneficial hunting behaviour and converted to their nuisance sweet feeding behaviour. This will vary from one year to the next. Generally speaking, wasps normally start their sweet feeding behaviour around late July but it can be as late as November.